Long-term care insurance isn't just a sensible move for many Americans regarding personal health and well-being, but also a wise financial decision. As health care costs continue to climb, it's important to make sure you'll be able to pay for the care needed to treat a chronic illness or accommodate living with a disability or some other condition. Having this peace of mind is beneficial for family as well, as they may rest easy knowing financial difficulties will not interrupt care that's vitally needed. However, while purchasing long-term care insurance is a good idea in many cases, actually going through the process of understanding long-term care insurance, identifying what you need, shopping for an insurer and managing your policy payments means there's a lot of boxes to check. Here's your guide to whether your should purchase long-term care insurance, and the steps to obtaining a policy. First, a definition: Long-term care insurance is notable because it covers medical and health services that a regular employer-based plan wouldn't, or which Medicare coverage limits. For example, long-term care insurance policies will generally cover daily care provided in the home or at assisted living or memory care communities, hospice and other nursing facilities. Long-term care covers services that are typically personal and custodial in nature, meaning assistance with activities like bathing, eating, dressing, going to the bathroom and getting around. Such conditions often come about as a result of a chronic illness, dementia or memory loss disease, and life-altering accidents and injuries. While buying long-term care insurance can provide essential benefits to Americans in retirement or nearing it, there's always one overarching concern: cost. Premiums for long-term care insurance do not run cheap, and compared to other forms of insurance like homeowner's insurance, may seem prohibitively high. According to the Wall Street Journal, premiums for long-term care insurance can reach $3,500 a year, whereas homeowners insurance may total $800 annually. However, premiums will vary based on factors like marital status, amount of coverage, current health and gender. NerdWallet cited estimates that an unmarried, 55-year-old man in fair health would pay an average $1,015 in premiums annually for benefits that total $164,000 over three years. A married couple of an older age can expect to pay more, but also receive more benefits. Long-term care insurance can help pay for care and services other policies won't cover. However, there are different ways of looking at that number. Some advisors may advocate putting aside that theoretical $3,500 and investing it, which can grow savings enough to pay for care when it's needed. But liquidity may limit ability to tap investments, and a specific dollar amount of savings only buys that amount of care. Daily long-term care costs average $250, and once formidable savings may be soon depleted by the financial strain of care. Age and future need: Just because you don't need long-term care now doesn't mean buying insurance isn't a good idea. Wait too long and a preexisting condition may disqualify you (long-term care insurance is different from regular health insurance in these cases). While there's no way to predict the future, according to the same Wall Street Journal article, 70 percent of people 65 and over will end up needing long-term care insurance. Also, the general point of insurance is to be prepared for the worst-case scenario, after all. Existing support: If you live with family or have a relative who is also a caregiver, long-term care insurance might not be needed. 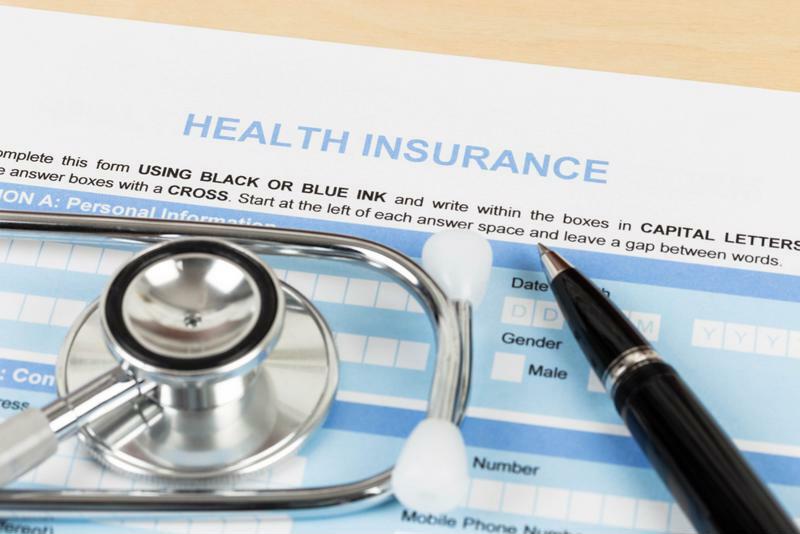 Individuals with considerable wealth may also not see such insurance as cost-effective. Conversely, families less well off can apply for Medicaid to contribute financially up to a point in paying premiums. Tax savings: If you buy a tax-qualified long-term care insurance plan, you can deduct from the premium paid and recoup some tax savings. What kind of policy is best? Individuals often get a long-term care policy directly through an insurance broker or firm like New York Life or Northwestern Mutual. AARP makes note that many states require agents to have long-term care insurance training, so be sure to vet any broker or company you decide to work with. States also have a role in long-term insurance. Many try to encourage residents to sign up for plans by partnering with insurance companies to create state partnership programs. These entities offer local populations the chance to qualify for Medicaid after they've used benefits. Buying insurance as a married couple can be more advantageous if consumers look at a joint policy. Such setups allow two married individuals, two partners or two related adults to buy coverage together. Joint policyholders must be aware of the/any maximum limits allowed to each person covered, which may become a problem if one person uses benefits at a much higher rate than the other. "Long-term care insurance can guarantee financial problems won't interfere with seniors' ability to access." What else is there to know about long-term care insurance? Besides becoming familiar with the basic steps to purchasing long-term care insurance, potential buyers should also brush up on some of the specifics that apply to the policy itself. For instance, the "elimination period" that triggers when benefits take effect is important to be knowledgeable on. This term refers to the time during which long-term care services are paid for out of pocket, usually written as 30-, 60- or 90-day incrementals; it can also be thought of as a deductible, in part. After the elimination period concludes, insurance reimbursements begin. Retirement planning is all about making sure everything's in order so that your quality of life is as high as it can be in the golden years. Taking the time to ensure your personal health and well-being will be looked after and adequately provided for is at the top of that list. Moving into a retirement community or assisted living community with memory care is a common step for many Americans as they age, and long-term care insurance can guarantee that financial problems won't interfere with their ability to access the services they need. For more information on moving into a retirement community and what types of services nursing staff can provide, contact Edgewood today.